What should you do if you’re a coffee fiend but you don’t have the budget to stretch to a full-blooded espresso and cappuccino machine? The best pour over coffee maker looks more like a science experiment than a coffee machine but these drip makers are highly effective and very reasonably priced delivery systems for top-tier coffee every time. You can easily make pour-over coffee using a dripper, filter and a carafe. Investing in the best equipment is something you should spend some time and trouble to get right then you’ll just keep on getting dividends from that investment with fantastic coffee on tap. As well as the basics of dripper, filters (if necessary) and a carafe, there’s a vast range of paraphernalia up for grabs when you’re looking at making the best pour-over coffee. Designed back in 1941, this glass Chemex pour-over coffee maker is an enduring classic with just cause. The large capacity and striking aesthetics make this drip coffee maker among the very best on the market. The Hario V60 is an affordable and efficient pour-over coffee maker available in an array of colorways and serving up the best Japan has to offer. The glass is heat-resistant and you can control the flow for a perfect coffee every time. A superb glass coffee maker from the inventor of the pour-over method, you’re buying into superb brand heritage with Melitta. If you’re looking to brew coffee for several guests on a budget, this drip maker is a must-have. A solid and durable ceramic coffee dripper, you can use Melitta filters with this Bee House which is a bonus as they are widely available and reasonably priced. With a beautifully consistent flow rate, this coffee maker suits beginners and pros alike. Bodum is a legend in the coffee industry. This substantial pour-over coffee maker is made from rugged Borosilicate glass. The re-usable mesh filter is a fantastic way to save even more money over time. For an eco-friendly pour-over coffee maker with a re-usable steel filter, the Coffee Gator is a cost-effective way to enjoy premium coffee every day without damaging the environment. Kalita’s legendary Wave Series brings coffee shop-style coffee into your home at a price you’ll love. Available in glass, ceramic or stainless steel, you’ve got a wealth of choice with this first-class coffee dripper. This Japanese import glass version of the Wave 185 serves coffee for up to 4 depending on cup size. You’ll need to exercise a light hand, though, since this dripper is relatively fragile. For a perfectly regulated pour over coffee from an industry titan, this attractive plastic coffee dripper is the ideal combination of durability and performance. Choose from 14 arresting finishes. Get everything you need for the best pour-over coffee with the Osaka starter set. All you need for top-tier coffee is included and the stainless steel filter is great for your pocket and the environment. If you live alone and fancy a winning single-serve coffee dripper, this budget-conscious Bartelli is a smart choice. It fits neatly onto most cups and mugs, even some carafes, making it a highly versatile pour-over coffee maker. Another re-usable steel filter capable of slotting onto most vessels, the Maranello Caffé is a flexible, green approach to making up to 4 coffees in one hit. For simplicity and convenience at an affordable price, the Maranello make perfect sense. 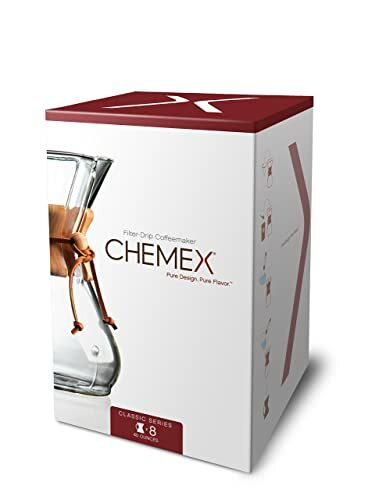 We’ll take a look now at one of the good selling pour-over coffee makers on the market, the outstanding Chemex Classic. This simple but highly effective dripper and carafe from a coffee industry heavyweight is our top pick for the overall best pour-over coffee maker. If you like to experiment with different brewing techniques, the Chemex affords you a great deal of scope to make adjustments with ease to suit your preferences. The larger capacity of the Chemex lets you serve up coffee for a group of friends unlike some of the more restrictive single-serve drippers. You can opt for anywhere from 3-cup to 10-cup capacity so there’s something for everyone. Although it results in slightly more expensive filters, the double-bonded filtration results in a crisp and clean coffee every time so, for the purist, this is money well spent. Made from Borosilicate glass, you’ll get no accumulation of chemicals or nasty whiffs coming from the Chemex. If you enjoy refrigerating your pour-over coffee to reheat at a later date, you can simply cover your coffee and pop it in the fridge without impacting upon its flavor. Our second-placed pour-over coffee maker is a simple ceramic dripper from Hario that punches above its weight. While at first glance the Hario V60 looks like an exercise in simplicity, the ingenious ridged design allows the coffee to flow down the sides as well as through the large opening. This method allows for the ultimate in quick-brew coffee without any negative effects on the flavor. Made from ceramic and coming in a range of 14 designs, this pour-over coffee maker is durable while still delicate enough to deliver tasty coffee all day long. We opted for the ceramic dripper but you can also roll with glass, plastic or metal. The V60 is available in 3 sizes: 01 (1-2 cups); 02 (1-4 cups) or 03 (1-6 cups). You can enjoy a great deal of flexibility with this dripper. You can easily manipulate the size of the hole through which the coffee flows so you can tweak the taste to your palate. The conical design brings out the very best in your coffee while the spiral ribs enhance the expansion for a taste sensation. Cleaning out coffee makers can be tiresome work but it’s a stress-free experience with the Hario. If you’re just starting out down the pour-over coffee route, you might be advised to look for a more forgiving dripper. If, on the other hand, you’re fairly experienced and you fancy a pour-over coffee maker affording you maximum latitude at minimum cost, the V60 is a smart move. As long as you’re aware upfront you’ll need to buy paper or cloth filters for this excellent little dripper, it represents a fantastic bargain. Melitta was the first company to produce a pour-over coffee maker over a century ago and they are still going strong today. You’ll get everything you need thrown in so you can take control of all elements of brewing and enjoy your coffee at its finest. There’s a substantial glass carafe enabling you to make up to 6 fresh coffees, a scoop and 5 filters included so you’re good to go straight out the box. Although you’ll need to make sure you’ve got paper filters on hand, the inexpensive Melitta number 4 takes some of the sting out of this expense. You can’t pour without the lid being firmly affixed so you’ll need to wait for the brewing to complete before pouring your first coffee. This is not a deal-breaker but you should be aware of this if you’re busy in the mornings and enjoy grabbing a snatched coffee as you race around. Setting aside this very small gripe, the Melitta has all that you need in a pour-over coffee maker and nothing that you don’t. If you want to get back to basics and enjoy a rich and aromatic coffee without needing to leave home, this 6-cup brewer and Melitta pour over porcelain are the obvious solution. If you’re operating on a tighter budget but you’re not prepared to sacrifice great coffee, the Bee House ceramic dripper is a solid choice. Smaller than much of the competition, you can get a cup or two of the finest pour-over from this dinky ceramic dripper. Rugged and built to stay the distance, the Bee House is ideal for the cost-conscious coffee lover. Rather than needing to hunt down expensive, hard-to-find filters, straight Melitta filters work brilliantly with this dripper. Not only will this save you money over time, sourcing them is a breeze too, whether online or in your favorite coffee store. Many pour-over coffee makers demand a certain level of expertise for best results. The simplicity of this dripper means it’s ideal even if you’ve never dabbled with this particular brewing method before. If you prefer your coffee from a supersized mug, you might be better off with one of the other drippers we review. Many users have reported issues with this dainty dripper fitting poorly over larger cups. The lead-free ceramic means you’ve got no worries about your coffee being contaminated and the construction allows for much higher temperatures than a plastic dripper will withstand. When your coffee is being brewed, it’s decanted down through a pair of small holes. This means you’ll get far less clogging and sediment along with a perfectly consistent flow rate. If you’re on the trail of a no-nonsense pour-over coffee maker suited to all skill levels, this nifty Japanese dripper from Bee House is well worth popping on your shortlist. With 3 sizes (17oz, 34oz and a whopping 51oz), this manual pour over coffee maker from Bodum comes with a permanent metal filter to save you from the ongoing expense and hassle of paper filters. We should draw your attention to the fact that the provided filter is not of the highest quality which is something of a disappointment. That said, the steel filter will serve up a rich and full-bodied coffee with a rounder texture than the Chemex. If this is how you like your caffeine fix, you’ll be delighted with the Bodum. The significant advantage of paperless brewing is that your continuing expenses are slashed so all you need to worry about is laying in a supply of your favorite freshly ground coffee. There’s an ergonomic silicone grip on the carafe ensuring there’s no slippage when you’re making your brew. The glass is rather brittle so we recommend you handle your Bodum with care. If you take sensible precautions, you should reap many happy years of service from this pour-over coffee maker. Another sterling example of a paperless brewing system, the Coffee Gator is a combined carafe and filter at a competitive price point that will set off any minimalist kitchen a treat. For a one-stop answer to pour-over coffee, this combined unit is a solid choice. If you place just as much importance on the environment as you do on the freshest cup of coffee, the permanent stainless steel coffee filter cone is one of the key selling points with the Coffee Gator. You’ll get none of the taint that can come from paper filters nor any of the expense either. For anyone just starting to experiment with pour-over brewing methods, the free e-book bundled with this brewer is a nice touch. If you have a greedy appetite for coffee, you might want to investigate one of the more substantial brewers we review since the Coffee Gator is only good for a couple of cups. For anyone living alone who wants a coffee maker that looks the part in the kitchen while delivering premium results, we can’t recommend the Coffee Gator highly enough. When it comes to simple, single-serve coffee drippers, Kalita delivers in fine style with its remarkable popular Wave Series of pour-over coffee makers. 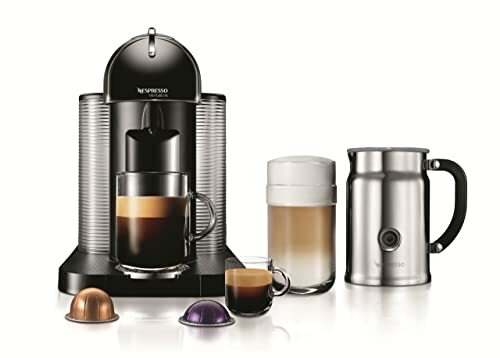 Choose from stainless steel, glass or ceramic depending on which medium you prefer for your coffee. Where most drippers feature just 2 holes, the 3-hole design of the Kalita combined with its rippled filter and flattened bed gives you a rich brew with a twist. While it should go without saying, if you’re hoping to rack up coffee for a large family or a group of friends, focus on a bigger model. Filters are not included but you can buy these in packs of 100 at a fairly keen price. Pour-over coffee brewing can seem intimidating to the uninitiated but the Kalita makes the process very user-friendly so even if you’re just dipping your toes into this brewing method, you should find operating this dripper a breeze. At the same time, the ingenious brewing system means the Kalita is also ideal if you’re a more experienced pour-over practitioner so it’s a very versatile dripper. This Japanese version of the stalwart Wave 185 Series from Kalita is seemingly basic but delivers a devastatingly good cup of coffee thanks to its pioneering design. The way the wavy filters and flat bottom work together to ensure that water drainage is improved at the same time as insulating temperature. This glass version is the same as the stainless steel and ceramic variants in most respects. As with all glass drippers, handle with care. You’ll need to spend extra on some Kalita filters which are not the cheapest papers. When you consider the cost of this set against the money you’ll save at your local coffee chain, you’ll see that there’s an excellent return on investment. Looking like something from the set of a sci-fi movie, the V60 is a rock-solid plastic dripper from the masterful Hario. Plastic drippers are not for everyone but if you don’t mind this material and you’re prepared for a slightly shortened life span, the plastic version of the V60 represents incredible value at less than a round of drinks. If plastic is not to your liking, you can opt for glass or metal instead, priced accordingly and also available in a broad spread of finishes. Although you can buy this dripper in 3 sizes, even the largest is just 30oz so if you’re looking for a huge pour-over maker to cater for bigger groups, check out on of the other options we have outlined. For most reasonable needs, though, the V60 is more than fit for purpose. You can pop this dripper over your favorite mug or set it up to flow into a coffee pot if you want to save some for later. For a budget-friendly all-rounder, the Hario V60 is hard to beat. If you want to save the time and effort of assembling your own pour-over coffee kit piecemeal, this all-in-one starter set from Osaka is the ideal solution. The carafe is fashioned from Borosilicate glass to make sure you get a crisp and clean coffee. Nothing is absorbed by the glass and it’s robust enough that you won’t need to handle the Osaka with kid gloves. The mesh filter has an additional laser-cut layer meaning the oils can freely circulate without getting snagged up while the coffee grounds are kept well clear. Although this filter is highly functional, some users have complained about problems developing after a year or so. Take this into consideration if you’re expecting more life from your dripper. The nifty stainless steel dripper fits directly on top of the carafe and you’ll get a spoon and drip tray chucked in for good measure. If you are impatient when it comes to brewing time, you might want to give the Osaka a swerve. You’re looking at more than 5 minutes before you’ve got coffee in your cup, possibly longer. Overall, the Osaka is an inexpensive pour-over coffee maker at a very attractive price point well worth your further investigation. There’s little dispute that a paperless brewing system gives you the cleanest coffee and the Bartelli is a fine example of this type of dripper. While technically a single-serve dripper ideal for pretty much any cup or mug, it also slots neatly onto many carafes or containers so you can get a bigger brew fuss-free. Cleaning coffee machines can be a tiresome chore. All you need with the Bartelli is a little warm water and you’re good to go. You can even pop it in the dishwasher so there’s no excuse for not staying on top of maintenance. The extremely fine holes in the filter stop even the finest grounds from traveling through ensuring your coffee is sediment-free every time. If you have a hectic schedule and you’re looking for a shotgun brew, the Bartelli is probably not for you. 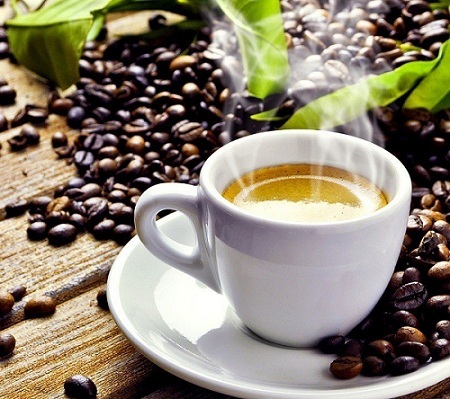 The flavorful and rich coffee takes quite some time to brew so be prepared for a little wait. While the Bartelli is not outright expensive, it’s not exactly cheap either for a dripper with relatively limited functionality so if you’re hunting down a bargain, look at our budget recommendation instead. If price is not such an issue, this dripper is well worth your further attention. Last but by no means least in our look at the best pour-over coffee makers is another great dripper from Maranello. The 4-inch base is designed to fit on the majority of cups and mugs and also snaps nicely into place over 10oz travel tumblers if you enjoy a fresh coffee on the road. The portable nature of this dripper means you can also slip it into your suitcase if you want top-tier coffee on holiday without being burdened with a heavy weight. If you’re not delighted with your purchase, you can claim your money back at any time during the first 3 months. If, as we’re sure you will, you love this dripper and keep hold of it, you’ll get a full lifetime warranty which removes any headache from purchase. We would praise the overall construction of this dripper but exercise care when tapping out the unit in case the steel ring at the top works loose. If it does, replacing it can be problematic. For a simple but effective pour-over coffee maker, check out the Maranello today and start enjoying the finest coffee tomorrow. Coffee into the filter to kickstart the pour-over method. This majestic looking titanium-coated gold filter is not cheap but makes great economic sense when you compare it to endlessly buying paper filters. The stainless steel mesh and laser-cur filter combine to guarantee impeccable coffee with every cup. If you prefer using disposable filters, these packs of 100 filters from Hario are available in 3 sizes. For anyone who demands sediment-free coffee but refuses to let go of paper filters, the Hario V60 makes perfect sense. Another bumper pack of 100 filters, Kalita’s Wave filters are not the cheapest but why stint yourself when your aim is the optimum cup of coffee? If you compare the running costs of a pour-over coffee maker to a daily Starbucks, the expense suddenly starts to seem much more reasonable. If you’ve decided to embrace a pour-over brewing system, a fine drink starts with the best freshly ground coffee and for that you’ll need a grinder. For pour-over coffee, you’re best using a medium-fine grind. Check out our detailed article on the best coffee grinder for the full low-down on what size grinds work best for which brewing method. We would strongly recommend investing in a conical burr grinder and the Baratza Encore is one of the best options at your disposal. The Baratza Encore is a grinder expressly designed for beginners so don’t panic if you’re new to grinding. Once you embrace grinding your own beans, your coffee will take on a new dimension. 40 settings gives you a great deal of scope and you can enjoy anything from fine to coarsely-ground coffee any time you like. The medium-fine ideal for pour-over coffee comes out consistently every time. The Encore is powered by a punchy little motor that spins at 450RPM. The last thing you want with a coffee grinder is excessive speed and this pedestrian pace lets you get the job done quickly without scorching your beans. Wirth just a single Pulse button to operate, using the Baratza is simple enough for anyone to get straight up and running. One thing to watch out for is the restrictive hopper size so, if you’re looking to grind up large quantities of coffee, you might want to explore alternative options. The Baratza comes fully into its own if you have multiple coffee makers and enjoy a spread of different grind sizes. While it’s not exactly cheap, it’s hard to put a price on the luxury of freshly ground coffee whenever you want it. If you prefer the back-to-basics nature of a manual grinder, Handground is the go-to choice for coffee connoisseurs the world over. While you won’t get the same breadth of scope as the Baratza offers with grind settings, you can still choose from 15 sizes so you can tweak your coffee just the way you like it. The ceramic burr mill is designed so as not to wobble when you’re grinding away. The ergonomic handle and knob allow you to get maximum purchase as you’re grinding for the smoothest results. There’s a full 1-year warranty for your peace of mind. Once you’ve got your grinder taken care of, it’s time to think about a kettle. While not essential for all pour-over systems, buying a specialist kettle is a sound investment if you’re serious about pursuing this artisanal brewing method. You should look out for a kettle with a small and slender neck. This nifty little pour-over kettle comes in 3 variants from the base model through the mid-range kettle with thermometer and up to the range-topping adjustable temperature model. You can adjust the temperature in steps of 1 degree allowing you to completely customize your brew. The stripped-down design of this electric kettle means it won’t take up too much space on your cluttered counter. Timing is critical when you’re making pour-over, so the inbuilt timer on this kettle is a nice touch. The all-stainless interior and BPA-free with a generous 1 liter capacity. The handle and lid are both insulated for your safety. The gooseneck design and pour spout are designed specifically for use with pour-over systems so you’ll find thing much easier with the OXO than if you try to struggle on with a regulation kettle. The cordless design gives you more than ample freedom of movement and you can remove it from the base which swivels through a full 360 degrees. Once heated to your preferred temperature, the water is held there until you’re ready to brew. The kettle will keep the water warmed for 30 minutes before it automatically shuts down. Heating to your brew temperature take place in just under 4 minutes. You can tweak controls using the highly intuitive dial. The temperatures are extremely accurate although the dial itself can tend to feel a little sticky. If you’re serious about pursuing pour-over coffee brewing, investing in this nimble little gooseneck kettle is a wise move. Currently available at an aggressive discount, this stellar gooseneck kettle from industry heavyweight Bonavita is another great option for helping you get the best pour-over coffee. The 1000-watt powerhouse lets you enjoy rapid brew times. Available in 1-liter or 1.7-liter configuration, choose how much capacity makes sense for you. There’s a broad temperature band of 140 to 212 degrees Fahrenheit making this kettle perfect for a range of drinks including, of course, pour-over coffee. You can make adjustments in 1-degree increments so you’ll enjoy complete control over this crucial part of the brewing process. Without correctly boiled water, your pour-over attempts will fall flat. Once the water is at your desired temperature, you can hold it there for an hour simplifying subsequent brews. The neat digital display gives you full and immediate access to the temperature for your total convenience. There’s an inbuilt count-up timer which lets you keep fully abreast of the brewing process. The standard gooseneck spout comes into its own when you’re using it for pour-over coffee and allows you to use it with ease and no fear of spillage. Made from brushed stainless throughout with no BPA in the plastic, the Bonavita is constructed with safety and durability uppermost. Although this might seem expensive for a kettle, once you’ve assembled your pour-over coffee kit it should give you many years of service and great coffee starts with properly heated water so don’t stint on this element. Overall, the Bonavita is sound value considering the impressive functionality. Hario make an entry with the third kettle you could consider if you want to get the best from the pour-over brewing method. You’ve got the choice of a 1–liter or 1.2-liter model depending on how much coffee you like to drink. As you’d expect from Hario, the design of this kettle is flawless. The stainless steel has a curved effect much like the Wave Series and this is one kitchen appliance you’ll be only too pleased to have on open display. Pouring with complete control is a fundamental part of the pour-over method. The thin spout on the Hario lets you pour with precision. You can safely use this kettle with any type of cooking surface at all, even induction cookers. Many of these kettles don’t work well with that type of oven but you’ll have no worries with the Hario. The oversized handle is fully insulated and a pleasure to hold. You won’t get any guides when it comes to temperature and there’s no frippery whatsoever but if you want a hard-hitting kettle tailor-made for the pour-over method, the Hario V60 is a hard-hitting and hard-wearing piece of kit. Now you’ve got all the mainstays of your pour-over coffee making kit sorted out, it’s time for the finishing touches. If you’re grinding your own coffee, you might want to consider a scale. These compact but substantial digital kitchen scales take the sting out of weighing coffee or anything else you need to swiftly and accurately measure. You can flick between the metric and imperial system in increments of 0.1 gram and 0.01oz. This gives you the best of both worlds and sidesteps the need for any tricky calculations. The capacity is a generous 2kg. You get the standard Tare function that allows you to add a container to weigh your coffee in then reset the scale to 0 so you can weigh the coffee itself. That aside, these scales have no bells and whistles but they get the job done and done well. The large screen is backlit in blue and you can read the digits with ease even in dim conditions. You’ll need a pair of AAA batteries and you get one set included so you can weigh up your coffee straight out the box. These scales come with an airtight 10-year warranty showing you the confidence the manufacturer places in this product. Pick up some of these scales and stop fussing around with a manual alternative or, even worse, weighing your coffee by eye. For a 2-in-1 scale and timer from the highly reputable Hario you might expect to pay a fair whack. If you act now, though, this multipurpose extra for your pour-over coffee kit is available at a very attractive discount. Precision is everything with pour-over coffee and this scale boast an inbuilt timer to help you hit those perfect bloom times and pours without needing a separate piece of kit. These scales are metric only and you can weigh up to 2 kilos in 0.1g increments. Your scales will shut down after 5 minutes of inactivity to preserve battery life. You’ll need a pair of AAA batteries which are included in this bundle. If you’re looking for a simple but effective tool to help you master the art of pour over coffee, the Hario scale and timer makes a smart investment. We’ll take a look now at how to make the best pour-over coffee fuss-free. One of the leading advantages of this method is the great degree of control you can exercise over the many variables. During the below process, we’ll assume you have all the equipment listed above. Without scales, a temperature-controlled kettle and some sort of timer, you can still carry out the pour-over method but you’ll miss out on many of the finer points. Coffee: Weigh out your coffee. 21g is a good dose for a Hario. With relatively little equipment, it’s easy to get up and running with pour-over coffee as you can see from these simple steps. We very much hope you’ve enjoyed this look at the best pour-over coffee makers along with all the extras you need to start enjoying coffee made the right way. Pour-over is the antithesis of a snatched instant on you way through the kitchen. 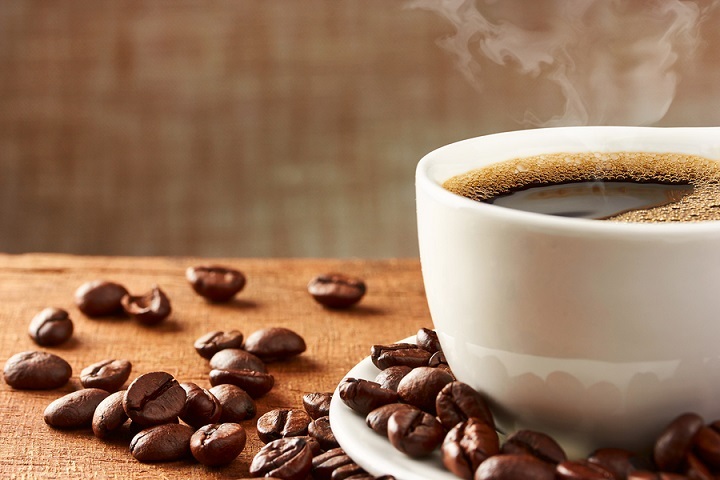 As you can see, though, once you’ve got used to brewing your coffee this way, all you really need is a few more minutes and the reward for your efforts is a far richer and fuller-bodied coffee. We’ve tried to show you today how you can get started with the very least upfront investment. Pour-over, though, is all about the intricacies so if you have more than a passing interest in coffee, you should do yourself a favor and pick up the basic accessories as well. What makes all the difference with this approach to brewing is dialing in the brewing time and the amount of coffee you use combined with a slow and gentle pour so you end up with a truly consistent extraction that tastes the same way every time. While you can certainly use pre-ground coffee, you’ll get best results and enjoy optimum control over the process when you grind your own. Get in touch if you have any queries or feedback about today’s article. As you can see from the pictures we’ve included, we buy and use this equipment so we can bring you honest and impartial advice. We’re not focused on one particular brand or the most expensive equipment. All we place a premium on is the very best appliance for the job. Come back soon for more coffee-related guides to make your life easier and the coffee in your cup taste better. This glass Chemex pour-over coffee maker is an enduring classic with just cause. The large capacity and striking aesthetics make this drip coffee maker among the very best on the market.